For me, baking is an exercise in creation. The process is rather abstract. My mind constructs recipes by pulling from the vision of an end result, piecing together elements to bring something conceptual into existence. I imagine it and then I make it. And I tweak it if necessary from there. Ingredients come together in my head and kitchen the way my mind best relates to them: in measurements of volume (the familiar American measurements of cups and tablespoons). I enjoy the experience of scooping and leveling, practicing that deftness of hand that neither packs the cup nor leaves it loose with holes. This approach to baking produces wonderful, consistent results in my kitchen. It just works for me. But not everybody’s brain “sees” baking this way. For people who want to create recipes of their own (and don’t have bizarre imaginations like mine) baking can be daunting. And if regular baking wasn’t intimidating enough, when a person has to eliminate gluten, baking at all can seem impossible. But it’s not. In fact, the act of creation that I experience as largely conceptual can also be experienced in very simple, numeric terms—thanks to ratios. A ratio is defined as a relationship between numbers. In baking, ratios are proportions of key ingredients that, when applied, produce reliable results. They are a fabulous tool to learn and use. 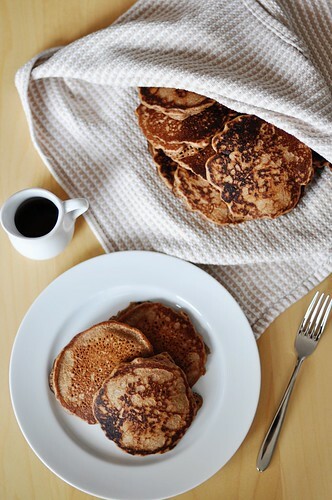 Once you know the basic proportion of flour to liquid to eggs to fat for something like, oh say—pancakes, you can easily construct your own recipes using your favorite flours and flavors. Ratios take the guesswork out of baking, making it accessible for anyone. And with as much joy as baking can provide, it’s only right that everyone know how simple it can be. 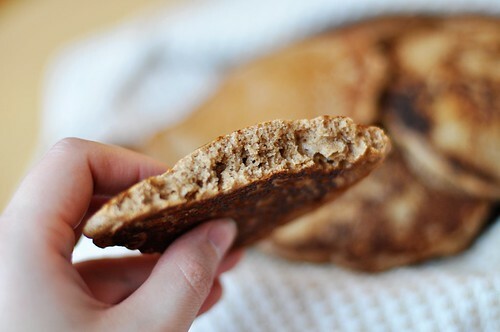 This is why I’ve joined with a group of talented gluten-free bloggers (you probably know many of them already) to help show you how easy it is to throw together your own gluten-free goods once you have a reliable ratio on hand. Each month, we will be rallying together and posting recipes that we’ve created by starting with a ratio. Some of us will be using the same proportions (often taken from Michael Ruhlman’s fabulous book Ratio ), but we’re also giving ourselves the freedom to create new ones for you to use based on our individual preferences. Our goal is to remove the mystique from baking and inspire a sense of ability and adventure. 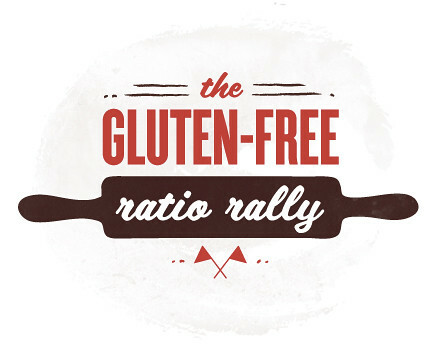 Welcome to the very first Gluten-Free Ratio Rally. It’s important to point out that, for ratios to be utilized properly, they do require a kitchen scale. The proportions are based on measurements of weight rather than volume. Fortunately, scales are relatively inexpensive, and, even if you don’t plan on baking with it one hundred percent of the time, it’s a handy tool to have around—and I say this as someone who bakes primarily by volume. This month, the GF Ratio Rally has tackled pancakes. Though when considering pancakes, “tackle” is probably too strong a word as they are one of the least fussy things you can put together. Even if they somehow wind up imperfect, a glug of maple syrup makes any flaws virtually disappear. That said, we’re here to make sure you have success. We’re here with ratios. For my pancakes, I chose to work in ounces. I constructed the recipe using 8 ounces of flours, 8 ounces of milk, 4 ounces of eggs, and 2 ounces of butter. Once you have your basic recipe, you can add sweeteners, spices, extracts, berries, chocolate chips, and other flavorings as desired. When choosing flours for your baked goods, feel free to play. And I do mean play. This is where the true fun of being gluten-free comes in (I mean, who wants to work with one all-purpose flour?). I find that I get the best results when using a combination of whole or heavier grained flours along with some sort of starch. For ninety percent of my baked goods, I tend to prefer a higher proportion of whole grain flours to starches. Depending on what I want the end result to be, about fifty percent of my flour will be something like millet or teff or sorghum (a sort of base flavor/texture, if you will), with another twenty-five percent being something supplemental like brown or white rice flour, and the last twenty-five a starch like potato or tapioca. If this doesn’t make sense, don’t worry—like I said, I bake conceptually. And with ratios, you really have all the freedom in the world to find the combinations that work best for you. Just weigh out your flours and play. The best part about these pancakes is that they were born from a ratio—a ratio that you too can use to create a gluten-free recipe of your very own. In case you’ve simply stumbled up on this recipe, don’t own a kitchen scale, and just want some pancakes, I’ve taken the liberty of converting the recipe back to volumetric measurements. In a large bowl, whisk together the teff and brown rice flours, the potato starch, baking powder, salt, cinnamon, nutmeg, ginger, and cloves. 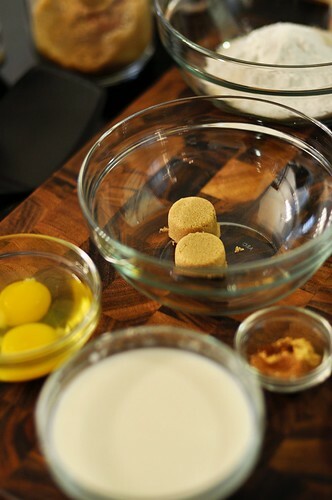 In a medium bowl, whisk together the eggs, brown sugar, milk, and vanilla. Add the wet ingredients to the dry ingredients and whisk to thoroughly combine. Whisk in the 2 ounces of melted butter. Brush the preheated skillet or griddle with some of the additional melted butter. 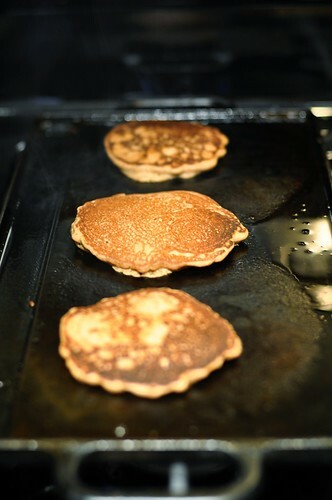 Pour the batter onto the griddle in roughly ¼ cup portions, creating pancakes that are 4 to 5 inches in diameter. When bubbles begin to break the surface of the and the edges look dull and set (2-3 minutes), flip the pancakes and cook for another minute or two on the opposite side until golden. Repeat until all the batter has been used, brushing the griddle with butter between batches as needed. As they are finished, transfer pancakes to a plate lined with a clean dishtowel. Fold the dishtowel over the pancakes to keep them warm while you make the rest. *One large egg equals roughly 2 ounces. Even though baking by weight and ratio is not my usual M.O., I think it’s an extremely valuable concept to teach and be familiar with. Also, it’s good to step outside your comfort zone from time to time. That’s how we learn and grow, and I’m looking forward to seeing how this project is going to inform my baking. More than that, I’m excited at the prospect that this could inspire you to bake more, and even have many of you writing your own recipes. I’m sure I speak on behalf of the whole Rally when I say: We can’t wait to see what you come up with. And speaking of my cohorts, please check out the links below. We have a sharp group here and I have a feeling you’re going to want to hear what they have to say, find out what ratios worked for them, and—of course—try a few of their wonderful recipes.